[Jakarta, LTTW] “We cannot speak other than by our paintings” is a sentence from the last letter written by Vincent Van Gogh himself, which later inspired painter and film director Dorota Kobiela to create Loving Vincent, the world’s first fully oil-painted film about Vincent Van Gogh’s final days. Derived from re-imagination of 94 Vincent Van Gogh’s original paintings; the filmmakers produced over 65,000 frames of oil paints on more than 800 canvases for the film. “Everything was a painting on canvas”, said Hugh Welchman, co-director of Loving Vincent. They shot the film with real actors in live action combined with Computer Generated Layout Animatic as reference materials. The recorded film was then handed over to Painting Design Team, which consists of over 80 painters working at studios in Gdansk and Wroclaw. This team of painters meticulously turned each frames into a thick, expressive brushstrokes and colors mimicking Van Gogh’s painting style. Each frame was painted over and over for the movement of the shot. “No tracing, no nothing. The opening shot, where we come down from Starry Night, took six hours per frame to paint. So you’re talking about two weeks to do a second. It might have taken 20 weeks to paint that 10-second shot – you’re looking at half a year of someone’s life”, said Welchman. Ten minutes fully oil-painted film is great, but for one and a half hours, it is breathtaking – especially when we are in the middle of technological advancement era. That’s why the filmmakers didn’t just succeed in making fully oil-painted animation, but also pushed the boundaries of filmmaking by combining conventional technique with today’s technology. Another thing that needs to be well-pondered is that the film story was created based on the interpretation of Van Gogh’s paintings and letters, thus the filmmakers must also interpret each paintings and letters, and how one relates to the other. This is the reason why Loving Vincent leaves us flabbergasted. 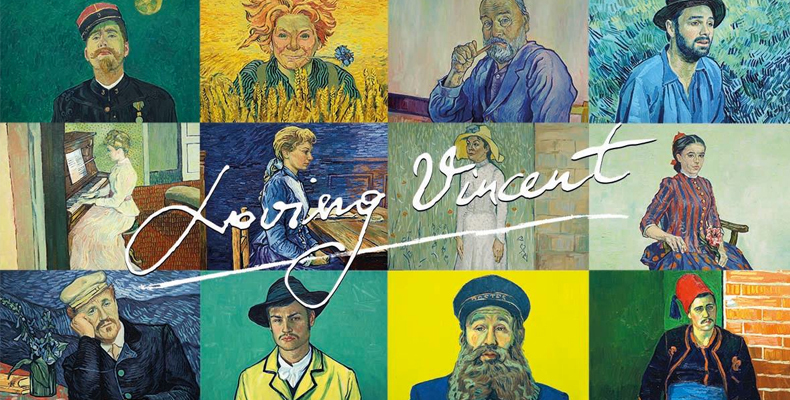 According to its official website, Loving Vincent took more than 6 years to complete. The movie was released on September 22, 2017 in the US, followed by screenings and events in North and South America, Europe, Africa, Asia, and Oceania (Australia and New Zealand) until early 2018. If you’re still curious about how the film was made, you shouldn’t miss the Loving Vincent exhibition at Noordbrabans Museum in Den Bosch, Netherlands. The exhibition runs until January 28, 2018. Amazing! 4 years just to develop the technique and another 2 years involving over 100 painters to complete the film. Incredible dedication by the filmmakers and artists involved, an effort only fitting to honor the life (and death) of one of the world’s most brilliant painter of all time. Would love to see the movie. Sadly, there won’t be any screening in my city.